Hair transplant surgery is a boon in the modern-day scenario where more than half a population is suffering Male Pattern Baldness and Female Androgenetic Alopecia. Hair transplantation that presently uses FUE (follicular unit extraction) as the major tool for scalp hair restoration is also helpful in restoring the eyebrows, facial hair – beard and mustache. Hair transplantation is a surgical process in which a hair follicles are removed from a certain area, ‘donor site’ and is moved to the bald part i.e. recipient site. Evolving from primitive old punch graft technique, the surgery uses modern Bio-FUE™ and Robotic Surgery to complete the transplant at present. Well, with the bettering of technology, and affordable transplant cost more and more people are being able to get their hair back. With the betterment of technology, all kind of surgeries has become more efficient, effective, and safe. As for the restoration of hair, many kinds of surgeries has evolved. In fact, hair loss in different parts of the body like eyebrow, eyelash, pubic hair can be restored through different techniques of surgeries. FUT hair transplant is one of the modern methods of hair restoration surgery. It is also known as strip surgery, and is useful for patients has suffered a higher level of baldness. As for this method, the area in the scalp with hair is removed along with skin by using a scalpel and the resultant gap is sutured together. The strip is branched in grafts and is implanted on the bald area. FUE (Follicular Unit Extraction) is also one of the methods that are used widely throughout the world. This is a more sophisticated and gentle method. In this technique, individual grafts are removed one after another and is transferred to the bald area. This method of surgery, unlike other methods, leaves no linear scar, but just only tiny, inconspicuous dot-like scars. Well, we can say, FUE, as it is said is not a scar-less surgery. Bio-FUE™ is an upgraded version of FUE hair transplant. It was reportedly developed by a team of doctors from AK Clinics. It is considered as a long-term customized plan for hair restoration. The technique uses indigenous equipment like ‘Flat Punch’. This method is a customized approach that efficiently treats different kinds of hair-loss types accordingly. Bio-DHT TM Hair Transplant is even more advanced version. In this technique, extraction and implantation of grafts happen meantime. The major benefit of this method of transplant is that it reduces the out-of-body time of grafts and thus improves the graft survival rate. Today, not only hair on the head but, the facial hair can be restored as effectively as the hair on the scalp. Facial Hair Transplant includes hairs on the areas like eyebrows, eyelashes, mustache, beard, and sideburns. The hair from the back of the head is generally used and is executed through FUE or FUT methods of transplant. For facial hair transplantation, very skilled manpower is required. In the world where beard plays an important role as a part masculinity, this transplant has become more and more prominent. Over the period of time beard transplant has gained huge popularity especially among the youths. This types of hair transplant also use above-mentioned techniques to accomplish the transplant. Body hair transplant is a procedure in which body hair is used to restore scalp hair. This is usually performed in patients with weak donor area. Areas like chest, back, pubis, armpits etc is used as a donor area to harvest the grafts. However, the best source is beard grafts. The body hair gives good results when used in concurrence with the scalp hair. All kinds of surgeries require certain conditions for a better result. Even in case of hair transplant, there are certain criteria that we should keep in mind. The first and foremost thing is the healthy donor area. Further, the reason behind the hair loss is also equally important and should be identified before the transplant. The decision if the hair should or shouldn’t be transplanted is solely taken by the expert or let’s say hair transplant surgeons. In many-a-cases, the surgery may not be advisable. Well, here are some factors that determine if the candidate is a right person for the transplant. An adequate density of hair on the donor site, and should satisfy current and future needs. Ther are several factors that determine the cost of hair transplant. In general, the location of hair transplant, the complexity of the problem, number of sessions required to complete the surgery, number of grafts involved, are the factors that decide the cost of a transplant. Further, different surgeons in different cities charge a different price for the transplant. An average cost of transplantation in NewYork City ranges from $3500-$20,000 per session, which is determined accordingly. The experience of the surgeon also determines the cost. Likewise, if the cost is generalized on the basis of grafts, the cost might be around $5-10/grafts. Similarly, if we choose FUE procedure in Miami, the price might range from approximately $8-10 per follicular unit. In this procedure, one session can involve up to 1800 grafts. In the same way, Turkey can be the cheapest place for the surgery. In Turkey, you might have it for as less as $899 per session micro FUE hair transplant. The cost might range up to 1399$ for one session DHI (Choi Implanter) hair transplant. Hair transplant surgery has benefitted a wide range of people. People who just dreamed of hair on their bald head have all grown up a fuller hair, all because of this surgery. Check out some of the photos of before and after the hair transplant. Similar kind of hair transplant can be performed as effectively on women as well. 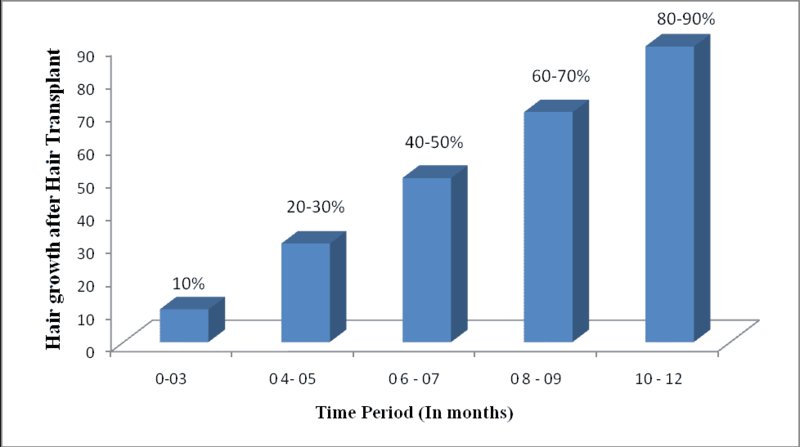 What is the success rate of a hair transplantation surgery? This is, in fact, an important question. Well, there is a good news for you. Some studies have suggested that up to 98% of grafts successfully grow into a hair. The result is more easily seen in non-smokers. Not to mention, the experience of the surgeon is equally important for the successful hair regrowth. Further, it takes around 6-12 for the hair to grow after the transplant. This can prove to be a good option to get a fuller hair. There are a few side effects of the surgery, but they are all temporary. Most of the side effects are commonly seen in people and will be gone within a few weeks of the surgery. Below is the list of side effects of hair transplant surgery. Bleeding: It may or may not occur at the sites of an incision. It will be gone within 3-4 hours.